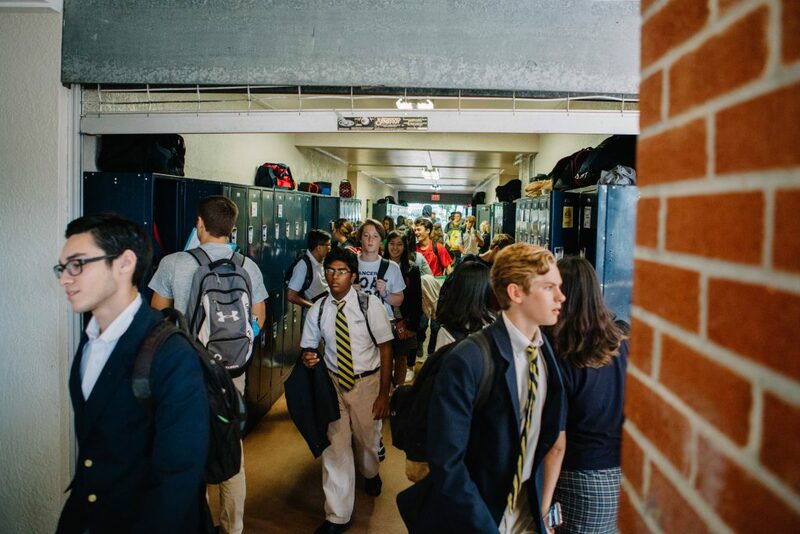 Welcome to academia at Cambridge Christian School! Excellence is an overused word in education, but as reflected in our mission statement, excellence in all things is the standard to which we aspire. Specifically, the excellence of Christ comes to mind. We do not subscribe to the idea that Christian schools must offer an inferior product because they are ministries. Rather, we desire to reflect the excellence of Christ in all things. Our goal is to offer an education second to none, and to do it all through the lens of a Biblical worldview. Our curriculum and methods will be current, and students will receive a 21st Century education that prepares them for a digital and global economy and directs them to pursue their God-ordained place in it. 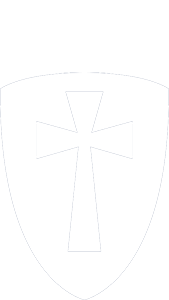 CCS is a college preparatory Christian School. Our students consistently score well above state and national averages on standardized achievement tests. However, being college preparatory is only our baseline. Beyond the college preparatory classroom, high achieving students in our lower school are offered enrichment programs like the Think Tank. 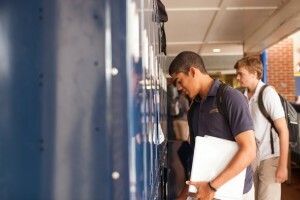 These programs ensure that all students at CCS will be challenged to think, create, and reach their fullest potential. 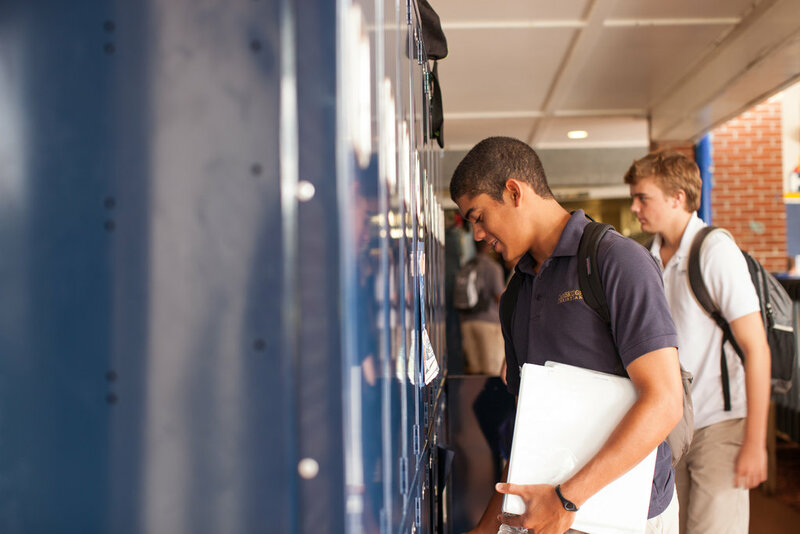 Our upper school offers honors and Advanced Placement classes to high achieving students, many of whom earn significant college credit during high school. More importantly, they are well prepared for the college or university of their choice. STEM is an emphasis school-wide, and our formal launch of the STEM diploma track is slated for 2018-2019. Today’s marketplace seeks thinkers and creators; the CCS program views and develops students as such. CCS is blessed with incredibly gifted and passionate teachers and administration that model life for our students, love our students and desire to know our students beyond the classroom. We value relationships. 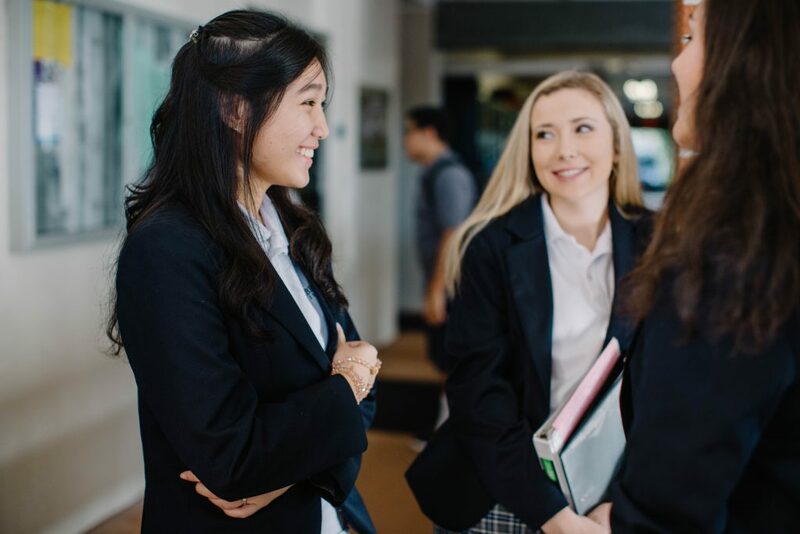 At CCS, you will encounter an environment where rigorous academics and high achievement are valued, but where a balance is created by intentional relationships between staff, parents and students. A partnership between parents, CCS, and the church positions students for great success as God as defines it. 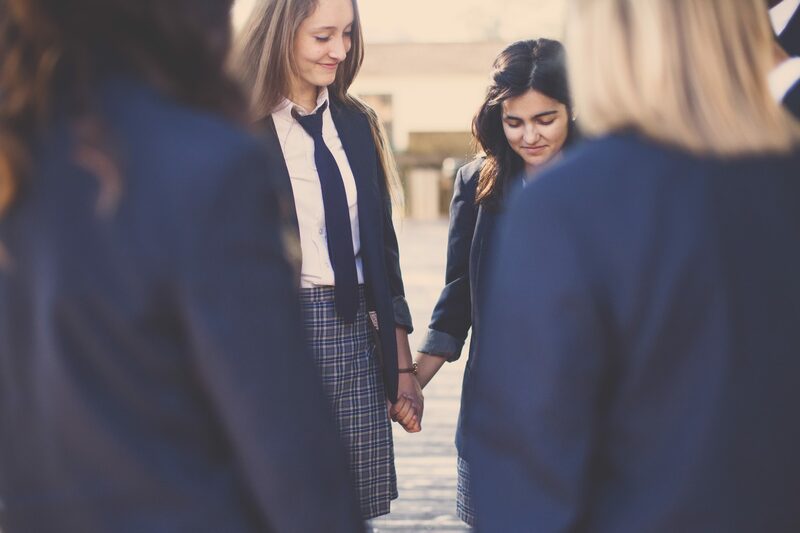 While our staff is continually encouraged to promote student academic achievement, our greatest triumph is embodied in the students that graduate knowing Christ and pursuing His call on their lives – those that embrace their role in full-time ministry, whether it be in the court room, the mission field, or the doctor’s office. We do not have to dream about our alumni impacting the world. It is already happening! Children gather and store more “real life” knowledge from birth through 5 yearsold than any other time in their lives. Early learners are beginning to develop socially, emotionally, physically and spiritually and need the guiding hands of loving teachers and parents, lots of manipulatives and hands-on learning. Many of the giants of early learning, such as Steiner and Piaget, are proponents of this developmental approach. 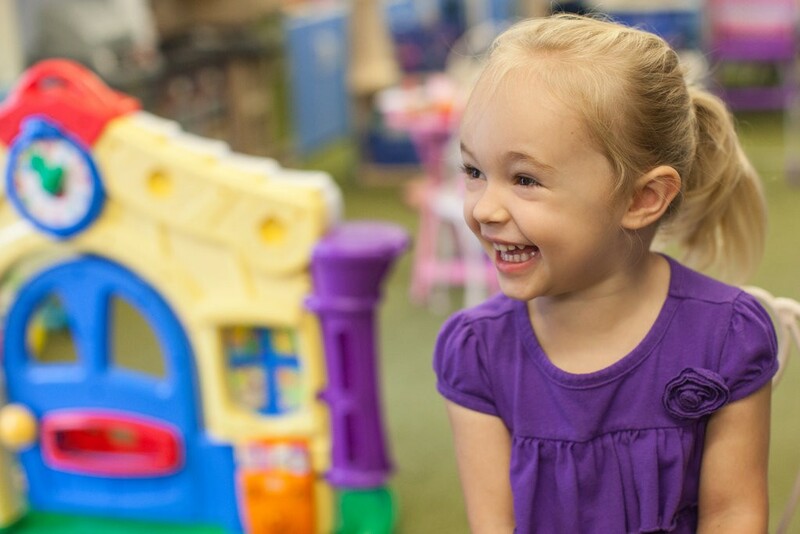 At CCS, Early Childhood Education is vital to a child’s development. When our students have this type of positive experience, it fosters a positive attitude about themselves, as a learner, and towards school. A child that likes school and learning will acquire an appetite for knowledge. Cambridge takes each child who enters our Early Childhood Department as an individual and moves them forward. We care about each and every child! In Early Childhood Education, students are encouraged to reflect on what they have learned and relate how they can use their new information. They need to use it to own it! 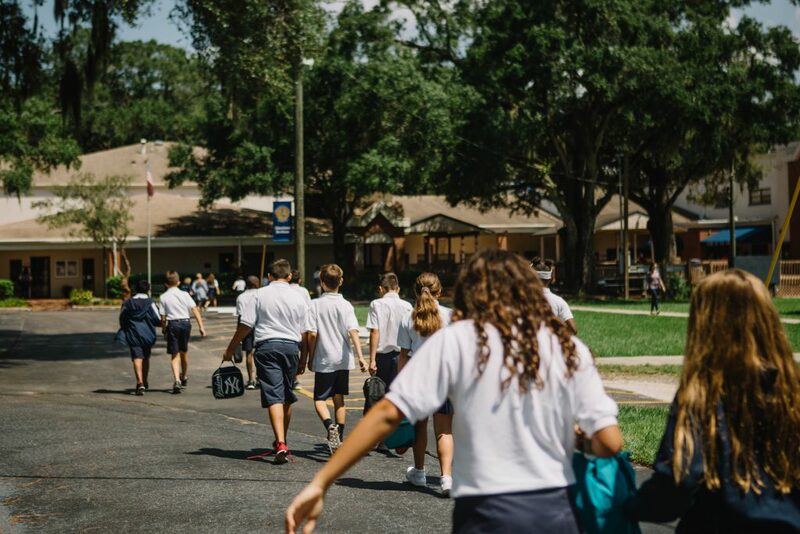 Cambridge Christian Lower School offers students a balance of traditional and innovative educational opportunities, all within the context of a Biblical worldview. Students are instructed in a classroom setting through a variety of teaching modalities and techniques. It is our vision to address the individual needs of our students and to maintain an active learning environment. Our desire is to create a legacy of lifelong learners with not only a love of learning academics, but for a love of our Savior. Partnering with parents to develop this firm foundation of a Christ-centered worldview is vital. Every effort is made to develop relationships with the students and to develop the God-given talents and abilities He has bestowed upon our students. 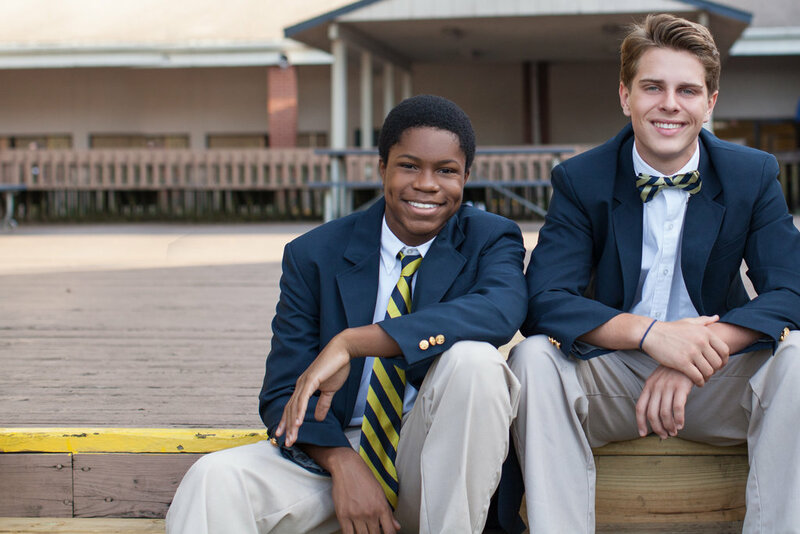 Students in the Lower School are expected to establish a foundation not only of knowledge, but also of study skills and habits that will serve them well throughout their time at Cambridge Christian School and beyond. 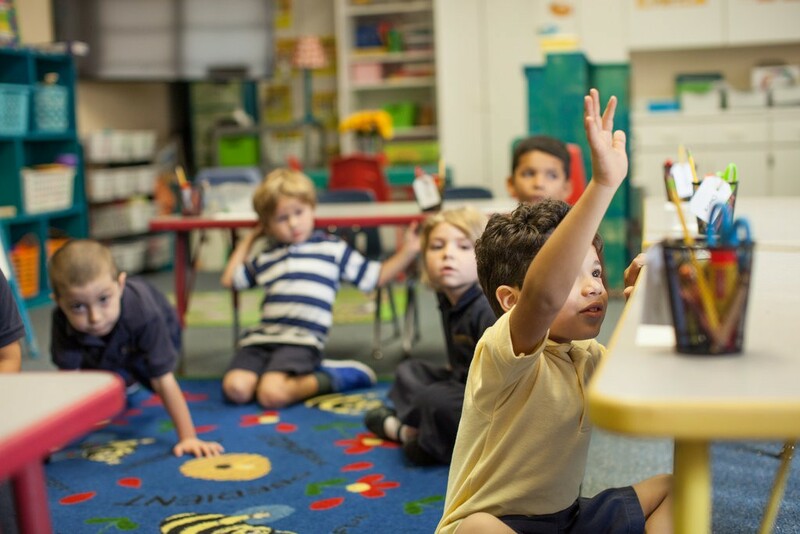 While the Lower School curriculum is academically rigorous and designed to meet the needs of a college preparatory environment, we understand the importance having a well-rounded child. Artistic and athletic involvement is encouraged, not solely academics. 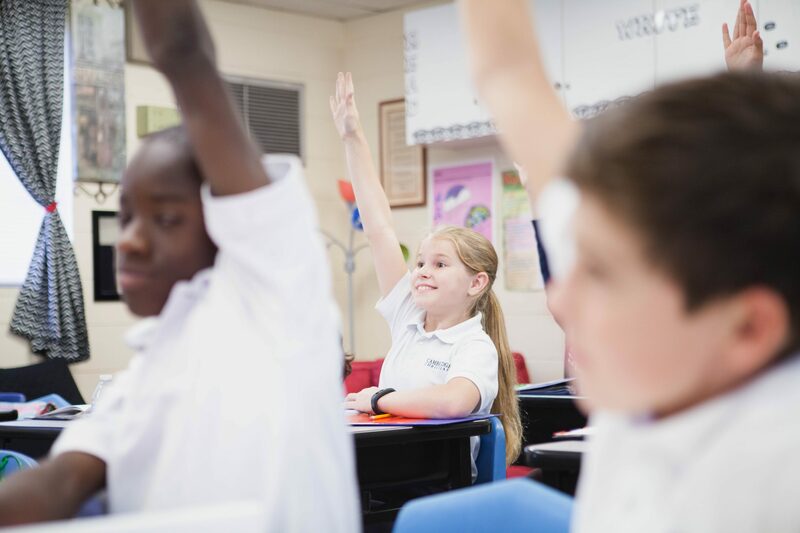 Our Lower School elementary program provides a strong foundation in the disciplines of Bible, math, reading, writing, grammar, social studies and science. Students also receive specialized weekly instruction in the areas of Art, Spanish, Music, Library, PE and Technology. Lower School Chapels serve to bring students to Christ and disciple those who have already received. Students participate in a dynamic worship experience through singing praise songs and hearing Bible-based messages from local youth pastors and staff. Lower School Chapels for grades 1-6 are held every Wednesday morning in our Sanctuary. Parents are always encouraged to attend and worship with their child! Students in grades 4-6 can participate in our Morning Show, a daily news and weather program that is live-streamed to all the Lower School classrooms. Parents are also able to view this show online. Students in grades 4-6 can also be members of our Safety Patrol team and participate in our Elementary and Middle School Bands. Sixth graders have the opportunity to represent CCS in almost every sport in which the Middle School and High School participate. Opportunities such as being a part of Lancer football, volleyball, basketball, soccer, baseball, softball, golf, tennis, and more are offered to sixth graders. Fifth grade boys have the chance to play football in the Spring. 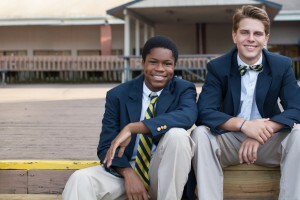 Lower School offers a variety of academic and athletic after school activities for your child. Cooking Club, Karate, Chess, Dance, Spelling, Robotix and Intramural sports (basketball/volleyball/soccer/flag football) are offered at various times during the school year. Clubs vary by semester and grade level. 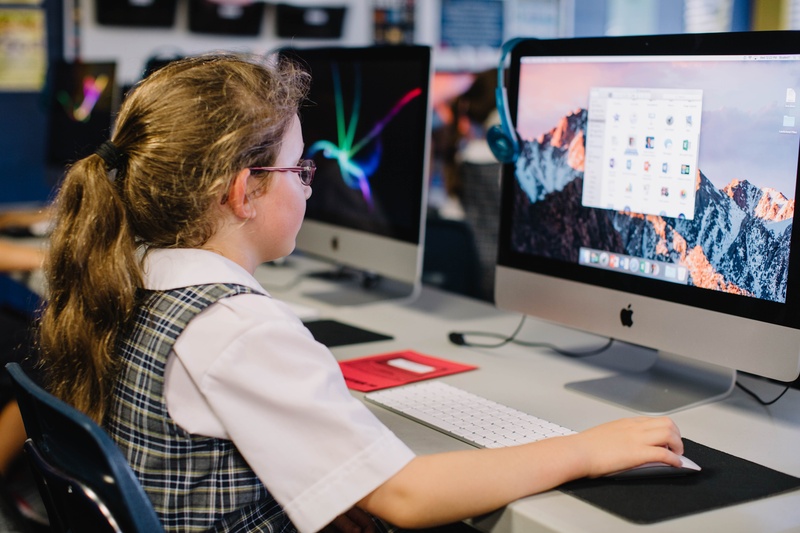 Technology is utilized extensively in the Lower School. Each classroom at Cambridge Christian Lower School is equipped with a large screen Apple TV along with an iPad and Surface laptop for each teacher. We also have iPads available for the primary grades and laptops for the intermediate grades. A Computer Lab is available for student use as well as for our Technology instruction classes. Our Media Center also has multiple laptops and tables available for research. We have a fully functioning Science Lab that students attend weekly. 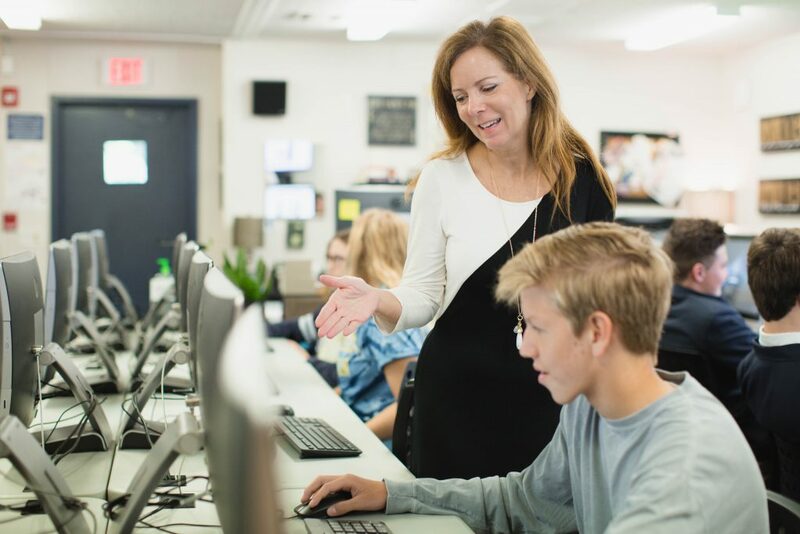 Students have weekly technology instruction in our Computer Lab where they can learn various skills from keyboarding to media presentation software to coding! Lower School offers, for students who qualify, two quality programs (Think Tank and Enrichment) designed to challenge and prepare students with high level thinking who enjoy thinking out of the box. Our Think Tank program for grades 2-6 is based on developing the areas of Analytical Thinking, Cooperative Learning, Technology and Strategies (A.C.T.S.) Units are developed to include project-based activities where students apply A.C.T.S. to create and/or build a model or design. This program allows students to gain authentic experiences in Bible, math, language, reading, writing, science, history and art to develop their potential as divergent thinkers. Our Enrichment program consists of two areas: Language Arts and Math. Language Arts Enrichment students study literature and poetry, developing communication and writing skills through a variety of cooperative, interactive techniques. The students will also create a published work. In Math Enrichment, students will develop critical thinking using word problems, computation skills using competitive timed-tests and activities, and graphing of results through a variety of cooperative, interactive techniques. The work will correspond with the concept taught by the classroom teacher. The emphasis will be on developing critical thinking and mastery of computational skills. Explore these links to our grade level curriculum guides. 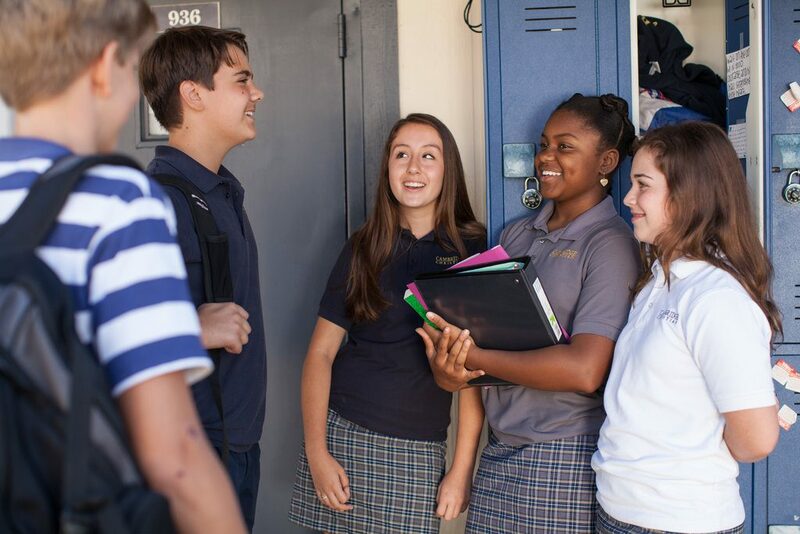 At Cambridge Christian, Middle School is comprised of seventh and eighth grade. It is our prayer and desire for these years to be a vibrant and exciting for each student. The Middle School faculty is dedicated and committed to cultivating a safe, enriching, and positive environment where students can thrive spiritually, academically, and emotionally. Our faculty is degreed and in compliance with all teaching certification requirements. They not only possess the educational experience and credentials needed, but they also have field experience in industry beyond the classroom. They are engaged in continuous professional development to better equip them to meet the unique needs of middle school students and prepare them for life beyond middle school. 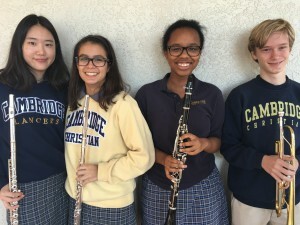 As a college preparatory school, we understand the importance of preparing each middle school student to meet the challenges and rigor of our high school program. Therefore, our middle school program is not only designed to ground students in the necessary academic content but also focused on developing students to be self-disciplined problem solvers and critical thinkers. We mentor our students and assist them in developing self-discipline and confidence, and additionally, we challenge our students to explore their hearts and talents by participating in extracurricular activities such as fine arts, athletics, and clubs. We are all about relationships, academics and spiritual growth! 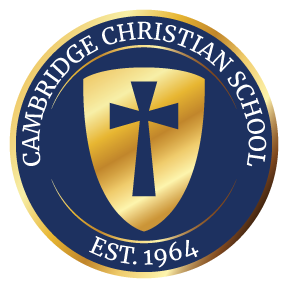 Cambridge Christian’s high school program is designed to meet the educational and spiritual needs of the next generation. Our desire is for each graduate to become a Christ-follower, Biblically sound thinkers, collaborators, and servant leaders. As Kingdom educators our faculty strives to inspire students to think and engage culture from a Biblical Worldview as they prepare for college and life. The academic program is grounded in Biblical principles and seeks to spark a curiosity towards learning. Our faculty is fully degreed and in compliance with all teaching certification requirements. They not only possess the educational experience and credentials needed, but they also have field experience in industry beyond the classroom with measurable success. We have 9 Math and Science teachers, 4 of them have extensive industry experience prior to teaching and have gone on to attain additional education credentials. These members of our faculty are able to provide far beyond content knowledge for our students. They high school faculty as a whole is engaged in continuous professional development to better equip them to meet the needs of high school students as they prepare them for college and life. We offer 3 academic tracks which include AP & honor courses, as well as a hands on, flexible, and varied STEM program. Our curriculum represents a balance of both physical and online curricular resources. We are a BYOD school and each classroom is equipped with effective technologies. Our small class sizes create intimate learning environments which increase student achievement. The high school schedule is a hybrid consisting of 3 days of 8 periods and 2 block days. Our school day runs from 7:45-3:15. Our students attend a weekly chapel and we offer a weekly advisory period. Equipping young men and women to engage the culture for Christ both academically and spiritually is our highest calling and this permeates every aspect of our program. High school is all about making memories and cultivating relationships which is why we encourage students to participate in extracurricular activities. We offer a full athletic program with 80% student participation and multiple sports athletes. Our fine arts program consist of visual, instrumental, choral, and theatrical courses, competitions, and performances. 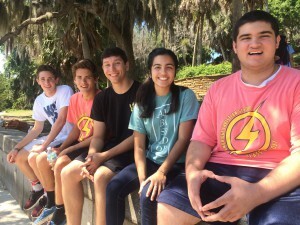 There are 7 honor societies who actively serve both the school and local community. We have an award winning Journalism program that produces our Gold Star yearbook. There are 5 student leadership organizations on campus, each one provides leadership training and opportunities for students to apply their leadership skills; Student Council, Class Officers, Student Leadership Institute, Ambassadors, and G.R.A.C.E. Council. Our students enjoy many traditions and student activities provided by these student led organizations. Key Club and Jr Key Club both serve our school and local community through a variety of service events & projects. Additionally, CCS has a competitive Robotics team and we offer a variety of interest clubs. STEM is an acronym that represents the study of science, technology, engineering, and math. 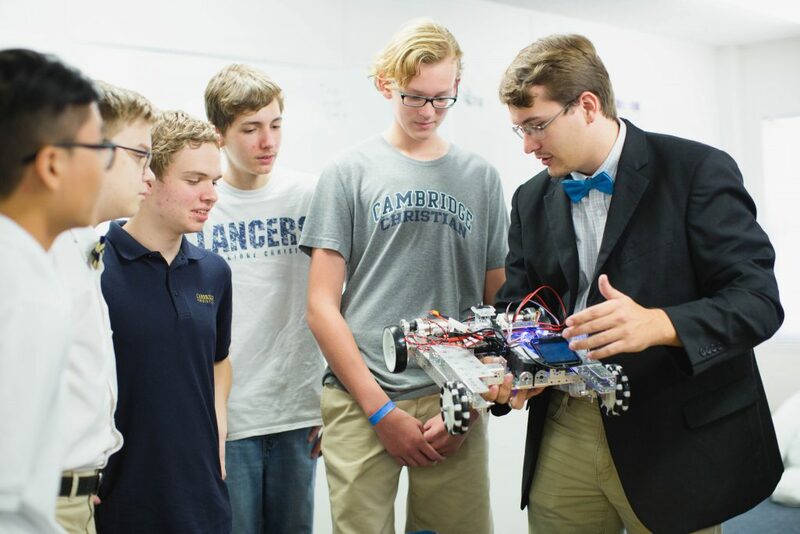 At Cambridge Christian STEM is not a “what” but rather a “how.” STEM education is represented in grades K-12 and its focus is on how to best support and inspire the study of science, technology, engineering, and math. Students begin to explore the scientific and design thinking processes in lower school and continue to develop their 21stcentury skills through middle school. The science, technology, and math curricular programs are foundational in preparing students to pursue STEM as they advance towards high school. At each level students will experience the heart of STEM education as they apply real-world problem solving skills intended to prepare students to pursue STEM related fields in college and career. The educational approach is modeled after the example Jesus demonstrated as he mentored the twelve disciples:”I will show you, I will watch you, and then you will do.”The mission of the CCS STEM program is to equip students to be 21stcentury leaders, innovators, and problem solvers. What does a CCS graduate look like? CCS uses the metaphor of a portrait to reflect the qualities desired in each student graduating from our school. CCS is far from alone in painting this portrait. In fact, the primary painters are the parents, and when parents fully pursue a kingdom education, the church has also contributed to the final portrait. Still, the school has provided a palette and a canvas to assist the parents in their role. We pray that every CCS student will exemplify the qualities in the portrait described below. Our goal is that every student graduating from CCS could be described with 4 important traits. CCS is an outreach Christian school. In other words, in our admissions process, we do not require any profession of faith in Christ from either prospective parents or students. Therefore, we enroll families from all walks of life, and people choose CCS for a host of reasons. Still, our prayer is that every graduate would experience and be able to articulate this saving faith. This is our top priority because the value of the remaining portrait descriptors has a ceiling without the purpose and balance found in a relationship with Christ. We do not view our students merely as consumers; they are creators. CCS graduates are neither solely recipients nor deliverers of information. Rather, they are solutions-oriented, innovative thinkers that embrace the process of identifying and solving problems. They know that this process often requires them to step outside of the box. They know the importance of investigating Scripture on their own and owning their own faith. They are known for the questions they ask. American society is now a global society. Our graduates will encounter a global economy and culture. They are equipped to engage this culture and, when necessary, confront it. They will have experienced authentic, interpersonal relationships on the CCS campus with both adults and peers. They know the importance of working with others to solve a problem or complete a task. They value teamwork, and they have experienced coming together to pool resources to accomplish an objective. In a society of selfies, CCS graduates put others first. They have been provided opportunities to be trained as Jesus-style leaders – those who lead by first serving. 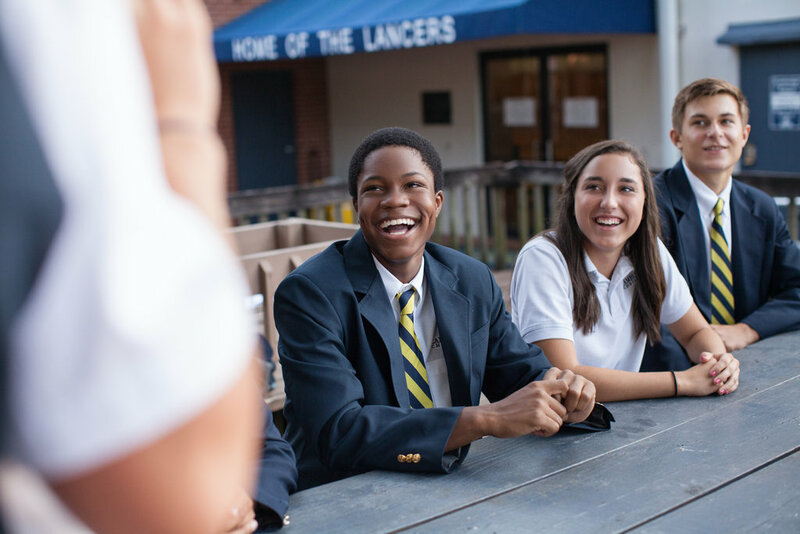 Lancers can be evangelizers, mentors, disciples, and servant-leaders all while still on the CCS campus. Compassion is practically applied by students both on campus and for others in our community and on the mission field world-wide. 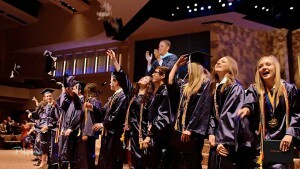 As a result, CCS graduates are encouraging, selfless leaders as they embark on the college and life experience. 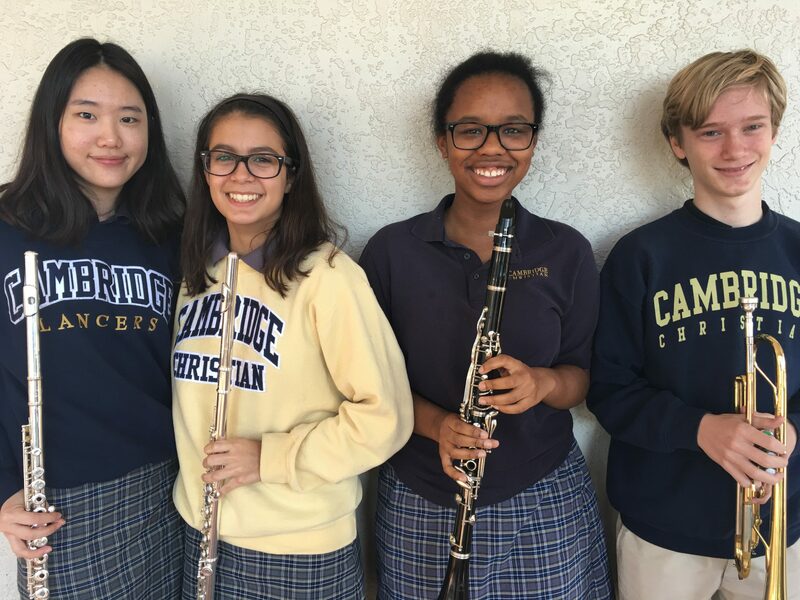 College advising at Cambridge Christian is an individualized and personalized program that formally starts in the 9th grade.In the spring each year, the Guidance Office spends time with our 8th grade students to complete a High School Prep for Success program. This program focuses on a successful transition from 8thgrade to high school. All of our students and their parents have access to advising appointments at any time. We offer grade specific evening meetings, 9th through 12th grade, once per year. In addition, we strongly encourage parents of all juniors and seniors to sign up for individual family meetings at least once in the 11th grade and once in the 12th grade. Students and parents may schedule more than one appointment per year as needed. Work at adjusting to high school and do as well as you can in all your high school classes. Participate in meaningful extracurricular activities where you can demonstrate leadership, commitment, and passion. Consider meeting with your counselor to discuss your high schools and college goals. Read as much as you can. Reading builds vocabulary and writing skills. Take challenging classes and do well in them. Continue to participate in meaningful extracurricular activities and seek leadership roles in them. Meet with your counselor to discuss the courses you will take in your junior year and the progress you are making toward your goals. Read as much as you can outside of school. Participate in summer enrichment programs in an area of academic, artistic or athletic interest. Begin preparing for the SAT and ACT that you will take in your junior and senior years. Go tocollegeboard.organdactstudent.orgfor information on studying tips. Take a rigorous course load, including AP classes if you qualify. Students often consider this the most challenging academic year. Meet with your parents and your counselor to discuss preparations for college application. Plan to take the SAT and ACT and SAT Subject tests, when required by the colleges that interest you. Attend college fairs and high school visits by college representatives, tour colleges and universities that interest you. Continue to participate in extracurricular activities and expand your role within those organizations. Consider carefully how best to use your summer. Summer enrichment programs, camps and pre-college experiences are excellent ways to explore careers or colleges of interest. Begin doing a scholarship search by visitingfastweb.comorcappex.com. Continue taking a rigorous course load and doing well. Colleges are very interested in the courses you choose and how well you do in them. Continue taking the SAT/ACT, if you need to. Ask for help with your college essays and your resume. Meet with your parents and your counselor to discuss your applications. Get all questions answered! Submit all application materials before the deadlines. Send test scores directly from the testing agency. Starting on October 1st, submit the FAFSA (fafsa.ed.gov) to apply for financial aid. Actively look for scholarships by checking with your counselor and registering with a scholarship search engine such as fastweb.com or cappex.com. Revisit colleges if you need help making a final decision. Send in enrollment confirmation for the college of your choice by May 1.